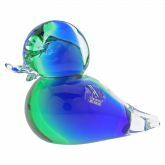 This playful hand-blown Murano glass duck looks ready to fly with its wings almost flapping and its feet barely touching the ground. 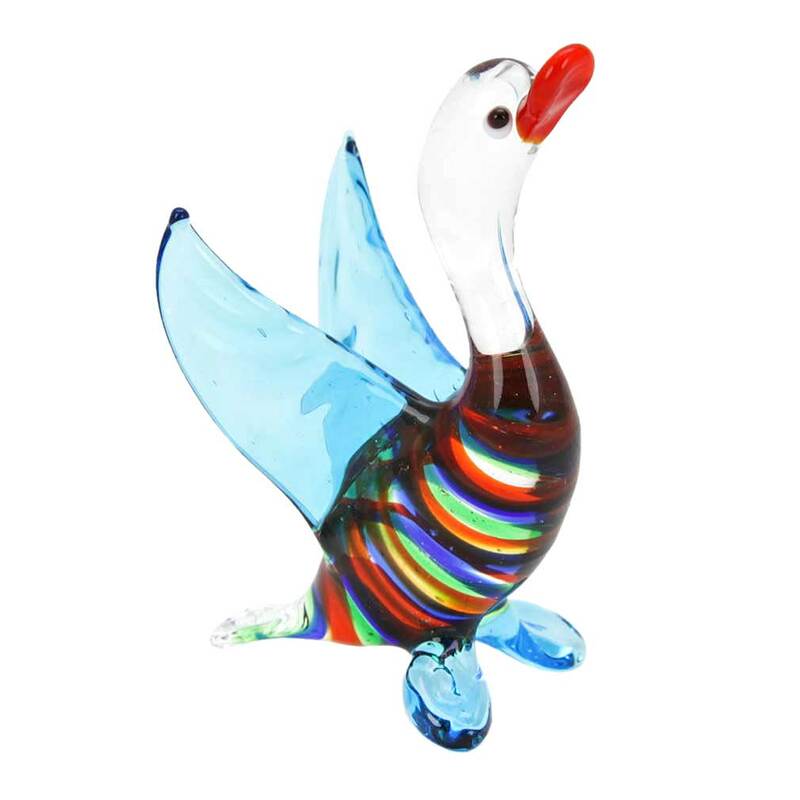 Featuring swirls of vivid colors intertwining within its clear glass body, bright blue wings and translucent head, this figurine shows a unique combination of mastery and taste that made Murano glassmakers world-famous. 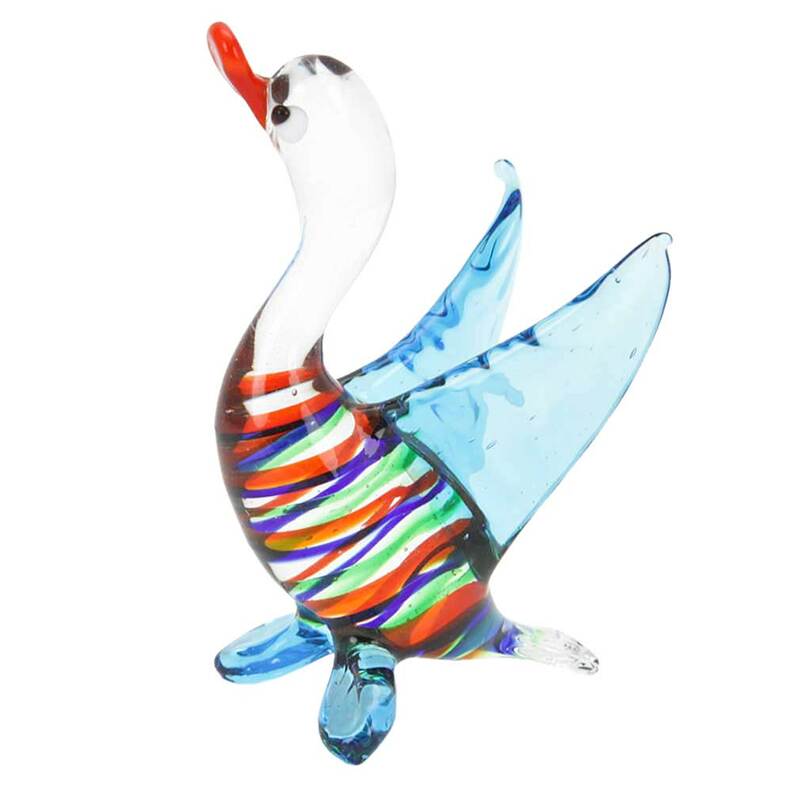 Lively, joyful and perfectly designed, this delightful duck will make every day a little brighter. 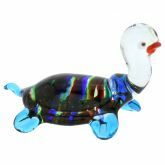 The duck measures 4 3/4 inches in height and 2 inches in width.